Who says the days of buying and flipping are over? 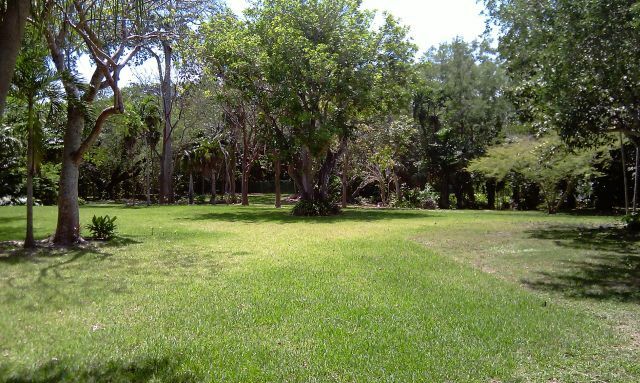 The 49,658-sf (1.14-acre) lot at 4940 Hammock Lake Drive in Coral Gables sold for $1.1 million in March 2011, and just sold again for $1.4 million in March 2012. That’s $300k or 27% in a single year — a tidy gain. The lot is located in the desirable and soon-to-be-gated Hammock Lakes neighborhood, but is not waterfront. Don’t expect this kind of deal to be commonplace, however. Land in Miami and Coral Gables may have stabilized, but it isn’t rising at a 27% annual pace. The cheap sale last year reportedly happened after one of the owners unexpectedly died, and plans for building a new house and new life together were shattered. The human element often figures prominently in residential real estate transactions. Just goes to illustrate that the real estate market is highly inefficient and illiquid, creating occasional opportunities for attentive and well-informed market participants. posted by // This entry was posted on Friday, April 20th, 2012 at 12:06 am and is filed under Properties in Focus. You can follow any responses to this entry through the RSS 2.0 feed.